This week, I want to highlight all the tutors of the Center for Academic Success (CAS) who have worked hard all year round. Writing, oral and content tutors help students excel in multiple areas of study. To apply for the job, students are either recommended by a professor or fill out an online application explaining why they want to be a tutor. If students are not able to find or access the online application, they can always stop by Julie Haurykiewicz’s office to express interest in the position. Students must be trained by one of the head CAS tutors before they are on their own. Tutors are selected as needed through the tutoring request on Voyager. They can either deny or accept the request via email. If the tutor accepts, they must arrange a time to meet with their tutee. Afterwards, they must log in the hours of the session ranging from 30 minutes to two hours. The hours are reported to both Julie and the professor. Sophomore Isaac Whippet is a writing tutor and a content tutor. Majoring in philosophy and psychology, Whippet’s favorite subject to tutor is Symbolic Logic, a quantitative course about an artificial language similar to math and a way to do arguments. For Whippet, being a writing tutor does not mean merely editing papers. He also helps with study abroad and job applications. He believes communication and teaching are the most important skills to have. He enjoys helping people at a low cost. Whippet aspires to be a professor or researcher one day. He values learning from other students through adapting to their learning styles. He works a couple of hours weekly whenever he is selected via tutoring request. Additionally, he is a member of Lambda Sigma and Phi Kappa Tao and he participates in the WLFM radio station. In three words, Whippet would say the job is flexible, challenging and rewarding. Third year senior Rachel Geiger is a writing and CAS tutor. She is majoring in environmental studies with a focus on policy. As a writing tutor, Geiger edits internship, job and study abroad applications in addition to papers. As a CAS tutor she handles more administrative responsibilities at the front desk such as signing students up for appointments, sending out emails to make sure tutees are matched to a tutor as their requests come through, answering phone calls and being available to tutor during walk-in hours. Her shifts are typically two hours and super flexible. During Fall Term, she typically works three or four two hour shifts including three to four tutoring sessions per week. Winter and Spring Terms are less work. Additionally, Geiger is an RLA in Plantz, a member of Delta Gamma and does service work like PAW. Her favorite parts of the job are Julie and her dog, Murphy. Geiger believes being able to teach as a tutor is valuable because someone knowing their subject does not necessarily mean they can teach someone else. It is important to slowly walk the student through understanding the material rather than correcting their mistakes. Geiger believes that being a good writing tutor involves being patient. Senior Quishan Liu is the head content tutor. As a content tutor, Liu helps students with Chinese, philosophy and psychology. She also trains new tutors by explaining the responsibilities and expectations which include showing up on time, being resourceful, being patient and being personal. Liu explained that a great tutor is able to connect with students and make them more comfortable with asking for help. 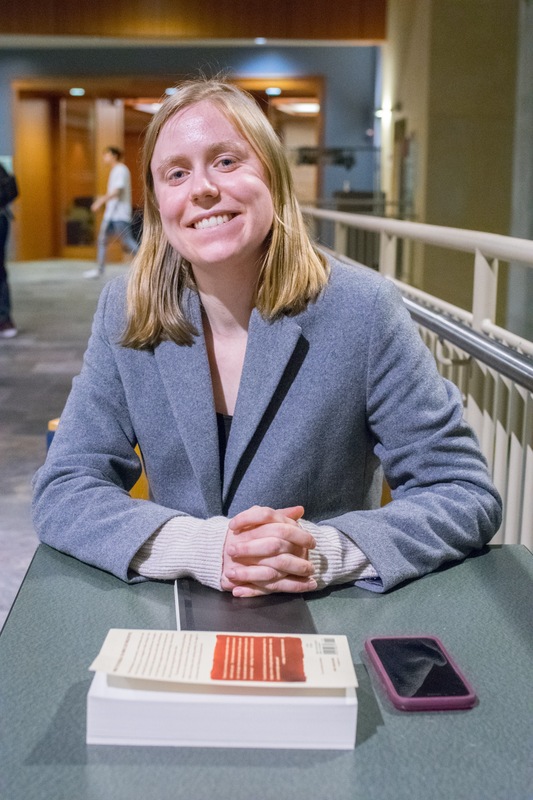 She believes there is a stigma around campus that asking for help is a sign of weakness, when in reality students are missing out on a great opportunity to improve in challenging subjects or gain new studying habits. In her free time, Liu is involved in volunteer activities. She used to be a CORE group leader and worked for Admissions. She currently works at the circulation desk at the library. All tutors would agree that their work is rewarding. Tutoring involves patience and being able to teach someone else the material by adjusting to their learning style and guiding them with any questions they may have. There is always a need for more tutors.